I have to write a little, hopefully from a neutral standpoint, on how I believe that mainstream medicine killed my mom, or at least interfered with her health. I don’t want to blame anyone, we are all under the spell of the Corporatocracy which has infused every aspect of modern life in its wish to make us dull consumers. Most of the elderly are marching blindly down this path. Taking the drugs that the white coats prescribe and push upon them as most Doctors march lockstep with their education that was formatted by the PHARMACEUTICAL massive influence on funding the schools of medicine and studies. I don’t want to say that my mom was a victim although my heart screams that she was. They call the disease that she ultimately died from, IDIOPATHIC PULMONARY FIBROSIS. I studied many studies about PULMONARY FIBROSIS and found that it is not IDIOPATHIC. Only ignorant, or willfully ignorant, scientists and Doctors would call it that. They don’t want to say the TRUTH about what the instrument of destroying peoples ability for inspiration, BREATH, is caused by the toxins that they put into our mouths and inject into our arms. They know that PULMONARY FIBROSIS is caused by toxic overload, as seen in the many dentists who get it from the mercury they handle. Most studies that I read mentions that the FIBROSIS is a response to an antigen infiltration [which is basically something -like a heavy metal -that stimulates an immune response]. My argument is that all medicine that I have ever studied has as an inactive ingredient some sort of antigen, like aluminum, titanium dioxide, talc [which contains contaminants] and I even found in a medicine for Parkinsons Disease, contained a DNA stripper. Why do they include toxins in medicines? Because they are allowed to do so. Its a money making bottom line, shareholder decisions to make side effects the disease to chase with their drugs. A great business model for the psychopaths. It also serves to make us a lockstep army of the walking dead, who can’t see, what we are meant to see. My biggest reason is because FEMA doesn't care about community doesn't encourage Community it sees Community as a threat. Another reason is because FEMA arrives early 2 disasters and I don't think it's because they're psychic. Look it up. In California FEMA has closed down local shelters and carts people off without taking clear and reasonable inventory of the people and without making a list of who they take that all members of our population could look at they secretly whisk them off to places unknown and do whatever they do to these people. There is evidence that people who are corrupt hav been promoted into the highest echelon of our society. Or they are of the ilk of a psychopath. In the media we have Psychopaths in our government we have Psychopaths and in many corporations there are psychopaths. Normal people don't understand this because they enjoy helping each other. And Psychopaths don't understand the joy that normal people get from helping each other. They have a component of humanity missing from their hearts. FEMA is based on a psychopath model. They see humans as threats. They would rather not have us loose and talking to each other. The The FEMA prison camps are just that, prisons no freedom of movement nobody's notified that their families are there and it's looking like they're harvesting organs in Hawaii because people have been floating in without with organs missing dead people. ,, why it is dangerous that our media is now almost 100% propaganda and this means Fox News as well as MSNBC and CNN. And I never thought I'd say this but fox has more variety then CNN and MSNBC who only talk about the fraudulent russiagate. I would love to look at Mueller's history especially when he was head of the FBI when 9/11 happened and like George Herbert Walker Bush Mueller is seen as a hero and above anybody's question . And people don't understand the majority of people don't understand what propaganda the dangers of propaganda when it's not knowing that we're being fed propaganda is to our democracy . We Know that the DNC stole the election from Bernie but nobody's looking into it. And it's looking like dead people can't talk can't be witnesses. and that is where our country is at. Our news won't cover what went on in Miami-Dade and our news won't cover what went on with Deborah Wasserman Schultz spying on all of her colleagues using servers, they won't cover that Hillary bleached her computers and her blackberries as well as Deborah Wasserman Schultz did. Deborah Wasserman Schultz probably didn't get elected as well as she shouldn't even be free right now she should be in jail because they have no guilt when they steal elections and nobody punishes them there's not Justice in our country. They can assassinate people and nobody gets held accountable Oh They'll blame somebody else but nobody gets held accountable like when they took out Wellstone and his family knows that was just an accident right know he was running for president he was just about ready to announce that and Hillary I'm assuming couldn't bear having somebody real to run against her. The media won't take on the 21 trillion with a t dollars that the dod has allotted with no explanations to each other. This is very dangerous because these people are doing stuff like attacking California with directed energy weapons which the media won't cover. FEMA disaster dot-dot-dot coming to a theater near you! By theater, I mean a military theater. There is a story floating around that FEMA is mobilizing to 18 different towns and cities on the Southeast coast. In Paradise California, FEMA has confiscated local activist collection of donations and shut down community shelters. They have come with guns mounted on their vehicles and they threaten people. They have not been helping or comforting people. 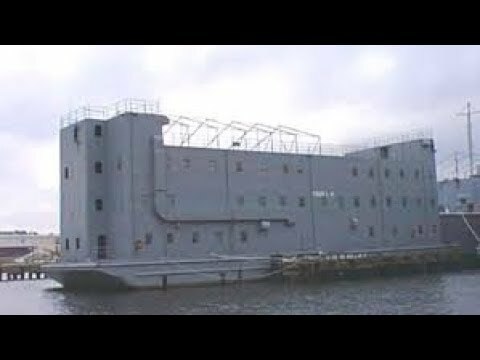 In Hawaii and in Houston Texas FEMA used barges to imprison and move people and then they lose these people. For years there has been a plan to break up our nation. From what has been going on in Hawaii where bodies have been washing up allegedly with organs missing and dead and FEMA has not been providing answers to where where people are. I believe that FEMA has been executing people and that the head of FEMA should be in jail today to prevent the plan of disaster. HIstorically there has been a FEMA or Homeland Security presence at every major disaster beforehand. Perfectly FEMA was deployed a day before 911. They were there before Sandy Hook doing a drill , they were there before many shootings with drills with going on even in Paris. When I am asked to trust my government, I ask why? I am old enough to have seen no answers to many assassinations. I am old enough to witness our military being confused and confounded during 9/11. I have witnessed the biggest conspiracy of all that 911 was the result of two planes destroying three buildings Then I am called a conspiracy theorist! So what? I will wear my tinfoil hat proudly. My computer is dead and I haven't figured out how to post videos using my phone to support my allegations worked on my blog to support my allegations. For a long time I've known about COG continuance of government. FEMA is an intrical part of this breakup. And when the rumors about guillotines and that FEMA just ordered thousands of blades from a company near the border of Mexico in Mexico allegedly reported by a FEMA agent this has riled me and made me want to expose and remove FEMA and start supporting local communities when there is disaster, instead of hauling people away. Homeland Security plans to break up our nation and have an unelected government controlling us without a constitution, in itself is unconstitutional and laws that break the Constitution are not laws that anybody should follow. FEMA's mandates are unacceptable and should be dismantled. Unfortunately both political parties are in bed with this. I hope and pray four Warriors and heroes instead of brainless heartless soldiers on the prowl lying to Americans and all people. The New World Order is designed for corporate needs and not to help the people of the world. Albert Pike was a psychopath! We have to defend our democracy by educating each other and loving one another. Remember David and Goliath. Each of us has to be David today. and he doesn't sound so much but he looks like Jeb and George Herbert Walker Bush together he has glasses on and his eyebrows are done dark but he looks like an offsping of GHW Bush. I see bushes everywhere kind of a nightmare he keeps ruling from the grave. I hope director Wray is as good a man as he pretends to be and not a 1984 type ruler with doublespeak coming out of his mouth.